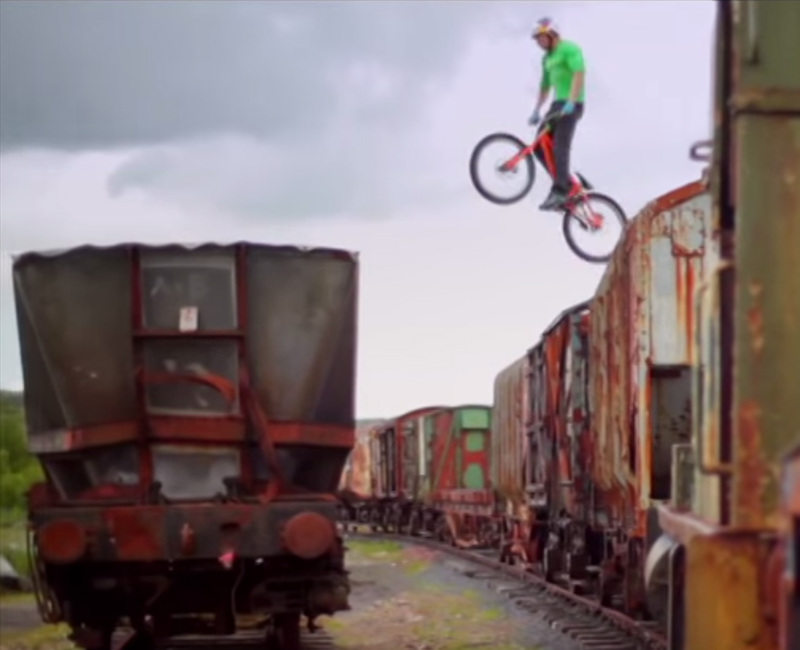 The utterly brilliant Danny Macaskill made Industrial Revolutions at nearby Waterside, home of the Scottish Industrial Railway Centre. Click here to view the video. The Centre is open for Steam Days on 28 June and every Sunday throughout July and August. Apart from experiencing a journey in the brake car pulled by the steam train there’s a museum, shop and café. Only recently the group, all volunteers, have acquired more land and track. In the future they will be offering a 5 mile train journey towards Minnivey in a restored carriage. The volunteers who run the show are a friendly and knowledgeable lot making a visit here a real pleasure. Even if you’re not into trains the history of this unique industrial heritage site is fascinating. Near the entrance is a large slag heap – complete with preservation order – but not before half of it was removed and used in the making of Ayr’s bypass! This entry was posted in Uncategorized and tagged Danny Macaskill, Industrial Revolutions, Scottish Industrial Railway Centre, Steam Days by VisitStraiton. Bookmark the permalink.